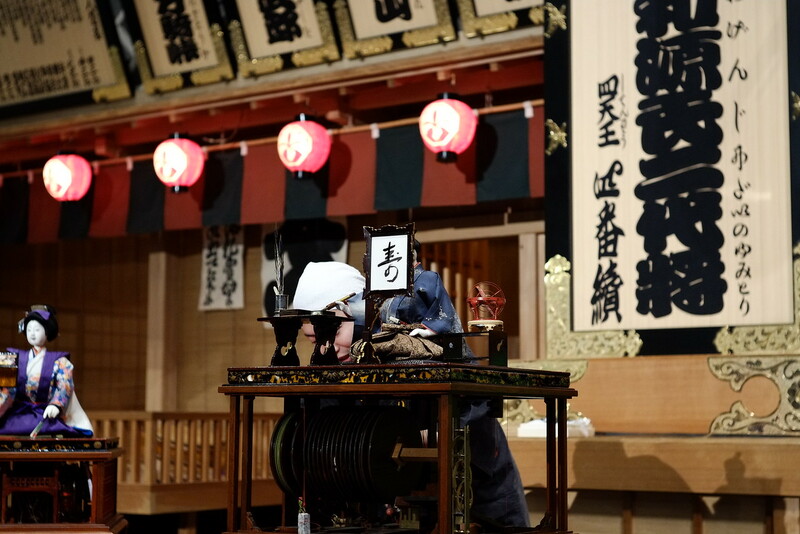 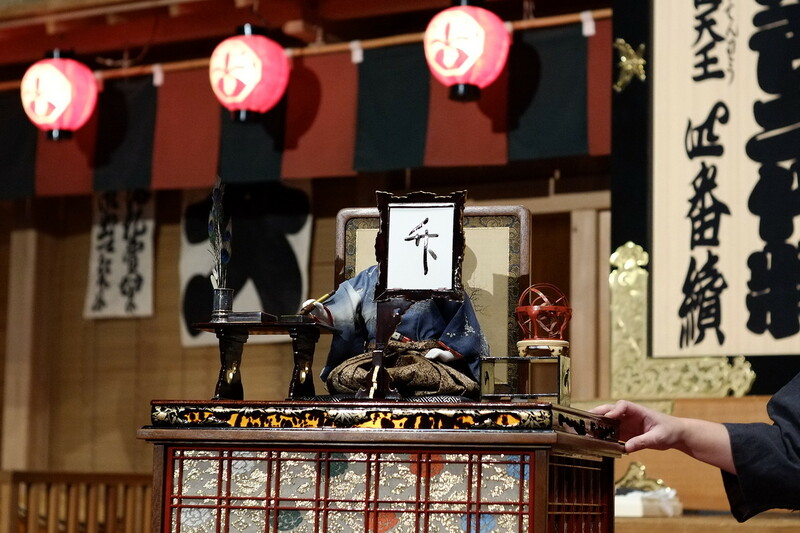 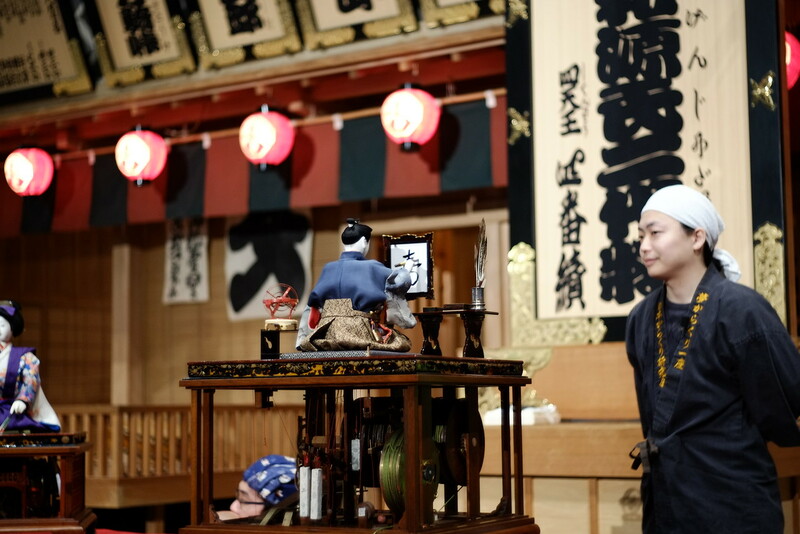 英語で：A while age, the Tokyo-Edo Museum hosted a demonstration of karakuri puppets in movement. 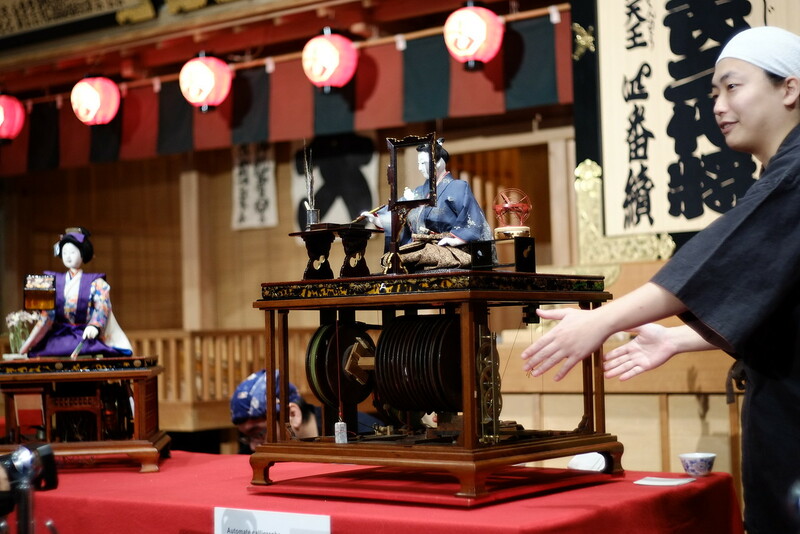 These mechanical dolls were developed during the Edo period. 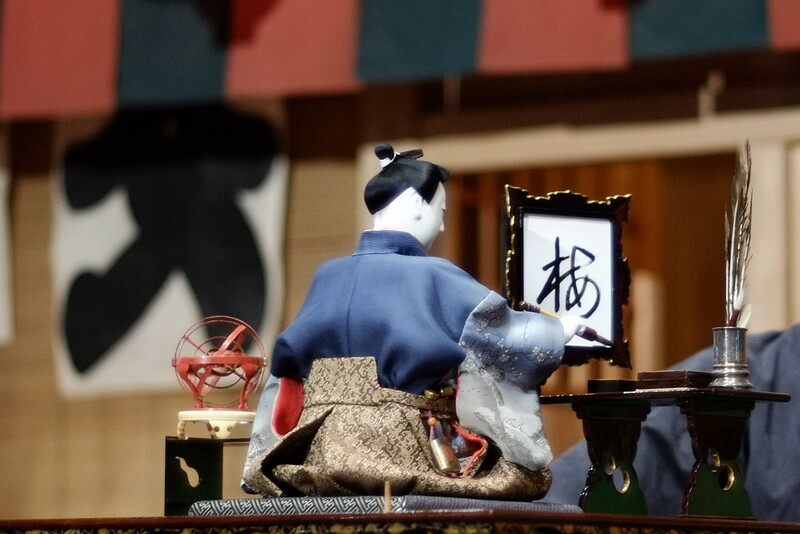 This one did calligraphy. 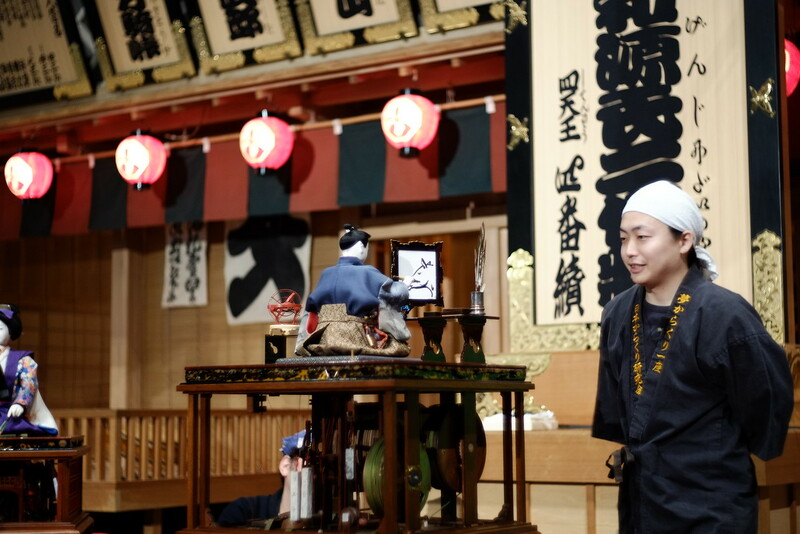 This automaton can even be reprogrammed! 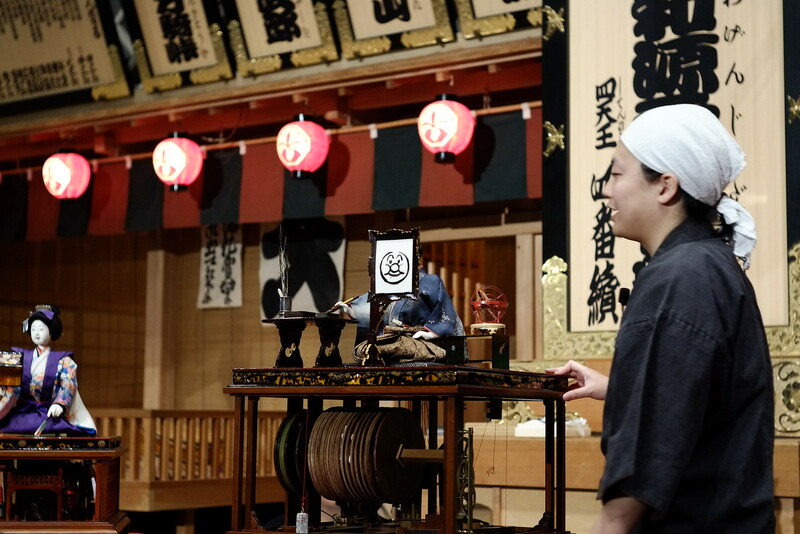 Its software is carried on the cylinder made out of wooden disks.